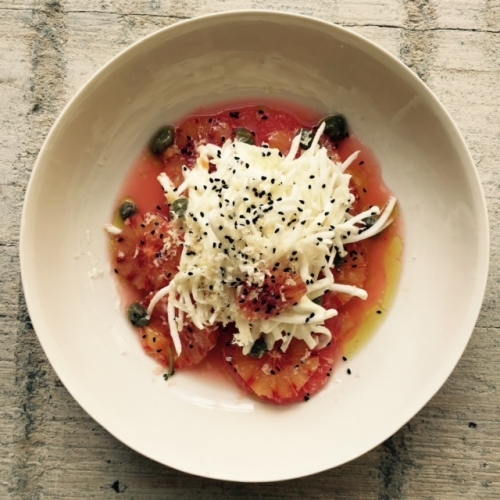 A crisp salad of grated celeriac with Nigella seed and blood oranges. 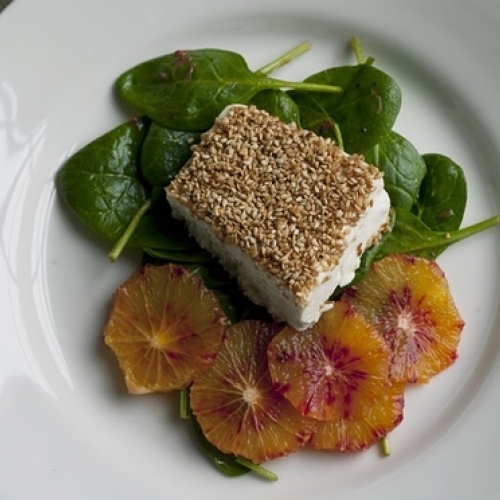 Warm feta with sesame seeds and sliced blood oranges. 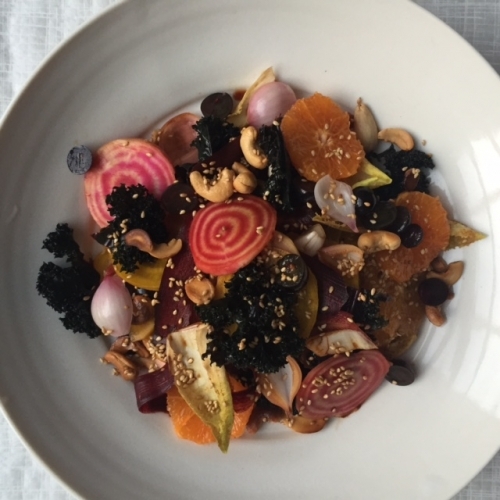 A crisp salad of root vegetables, kale and clementines for a winter's day. 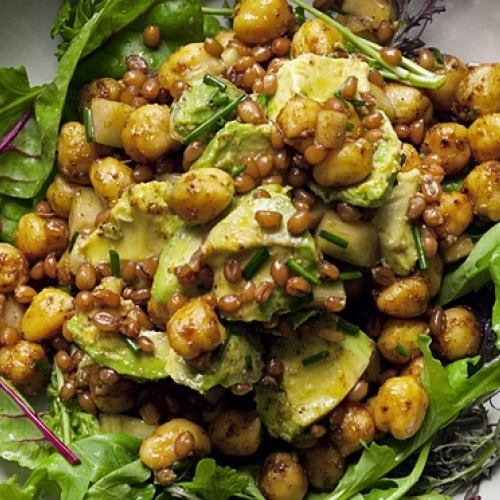 A salad of roasted wheat, avocado, cucumber and ras el hanout. 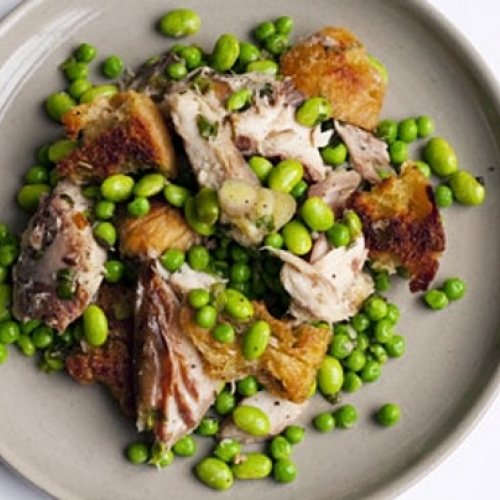 Smoked mackerel, toasted ciabatta and edamame beans. 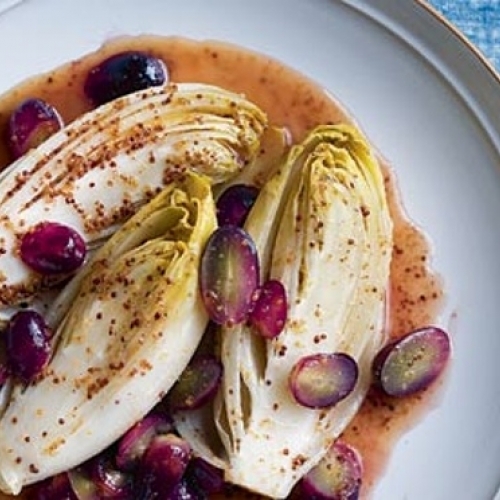 A crisp salad of white chicory and grapes. 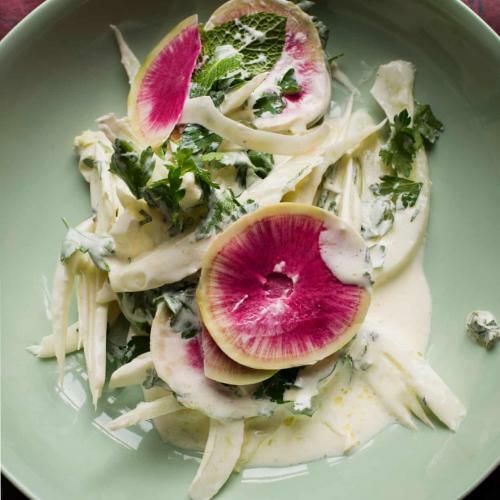 Mustard and honey dressing. 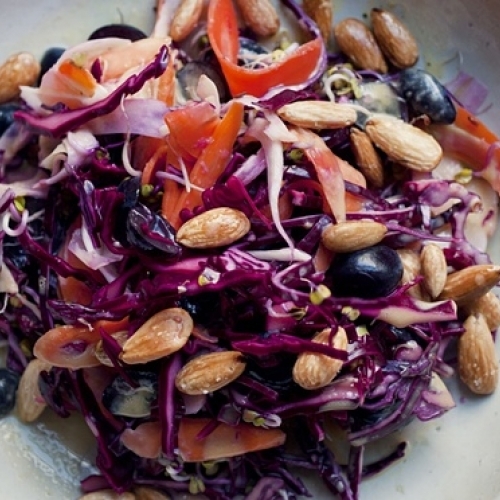 A crunchy salad of red cabbage with fennel and toasted almonds. 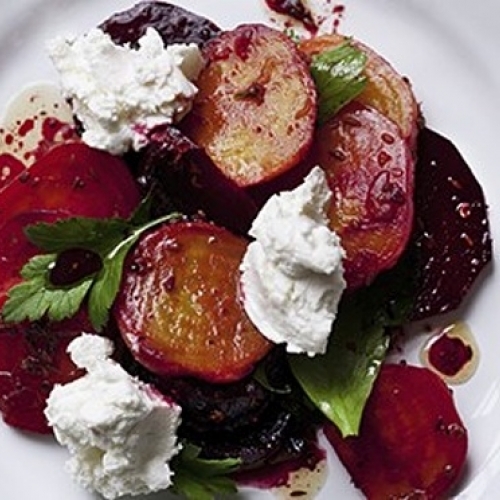 Roasted red and golden beets. 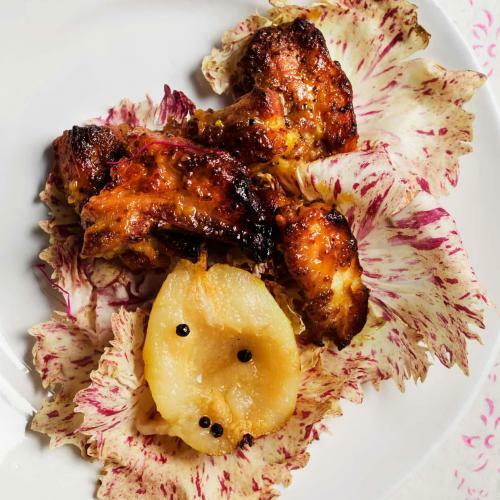 Mild spices and goat's curd. 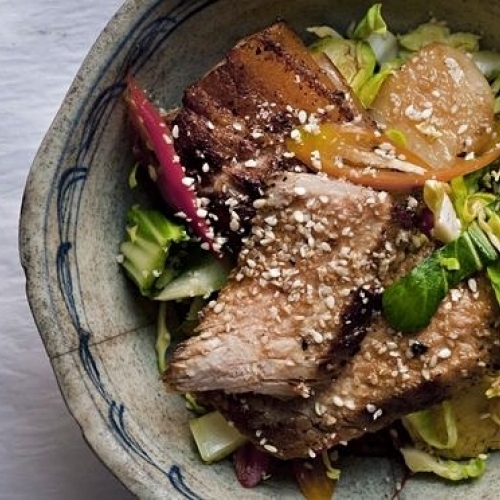 Brussels sprouts, water chestnuts, pork. 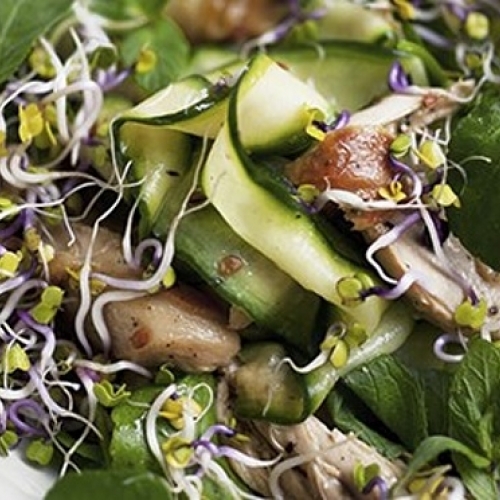 A crisp salad of Brussels sprouts, pak choi, pork and sesame. 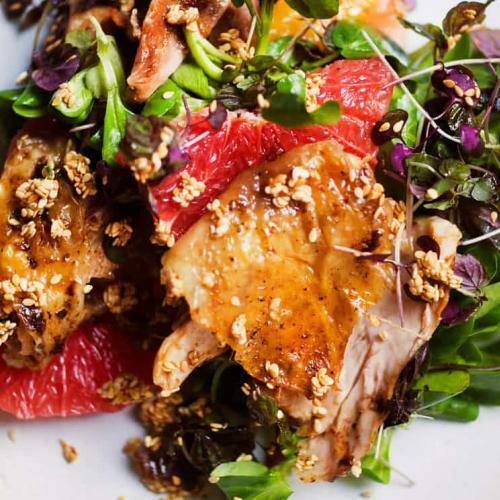 A bright and clean tasting chicken salad for a frosty day.